My wife would really like a GT/CS belt buckle for Christmas. Has anyone seen one? I've tried searching online but with no luck. Any help would be greatly appreciated. Are you talking about a cowboy-type buckle? There are companies that will engrave blanks with whatever you want. Any buckle with either the California Special script or GT/CS like on the side scoops. I don't want to deal with licensing issues with Ford. Here's one company that makes custom buckles. Ford didn't care when I ordered GT/CS polo shirts as long as they were for personal use. 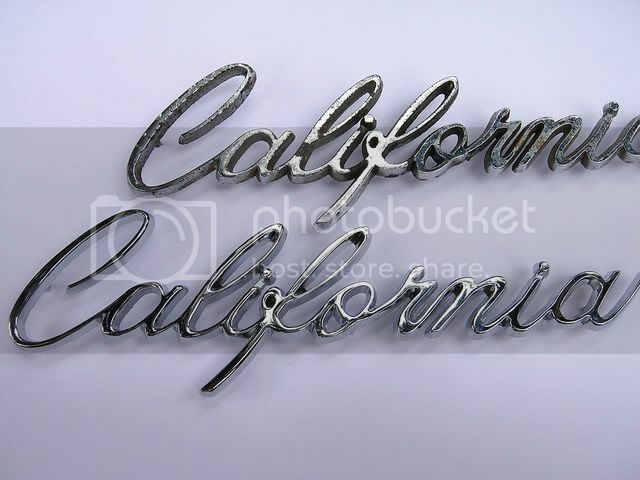 What is the font for the California Special script like in my avatar? Is it readily available? Or would you suggest sending them a picture of it and ask them to make the buckle from that? Not sure how to do this. I've never ordered one so don't know what they can do, either. You may want to try sending them this .jpg.